Need car shade this summer on one side of your vehicle? 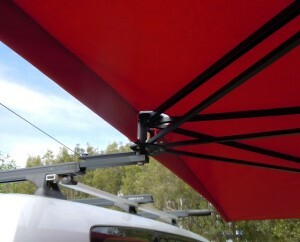 Then the CleverShade 180° model is an ideal solution. We’ve got you covered. Made from the same high quality and lightweight aluminium as our other models, it is so light, strong and easy to use you’ll wonder why you didn’t buy one years ago. You can leave it attached all the time and simply fold it away when you’re not using it or because it’s so light you can take it out and store it either in your car or garage until you need it next time. 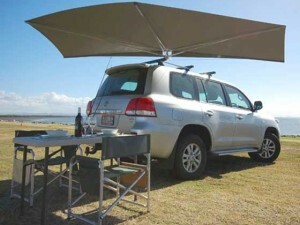 It’s the perfect companion for camping trips, holidays to the beach and even those who own a mobile business. 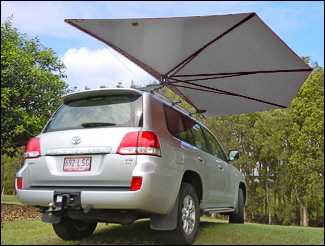 No matter where your lifestyle and travels take you, your CleverShade will keep you protected from the harsh Australian elements. It comes standard with a grey canopy and black powder coated arms but if you’d like to add your own sense of style and flair you can for an additional 10%. Our colour options are available to view here. Like all Austshade products, we pride ourselves on having incredible quality with our custom made shade solutions. 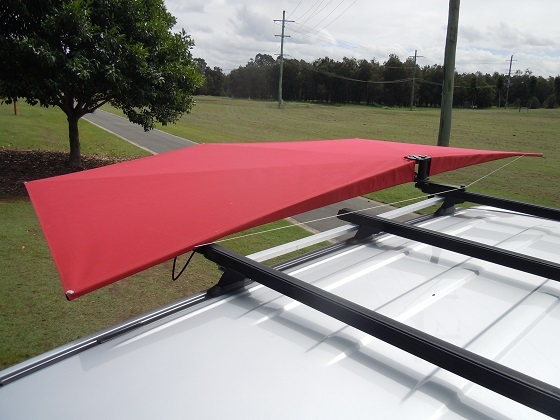 So rest assured, you simply won’t find a better awning on the market. Looking for something bigger? 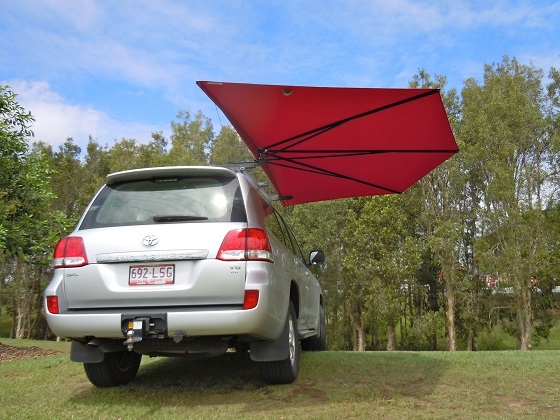 Our 4m x 4m CleverShade will have you and your family covered this summer. 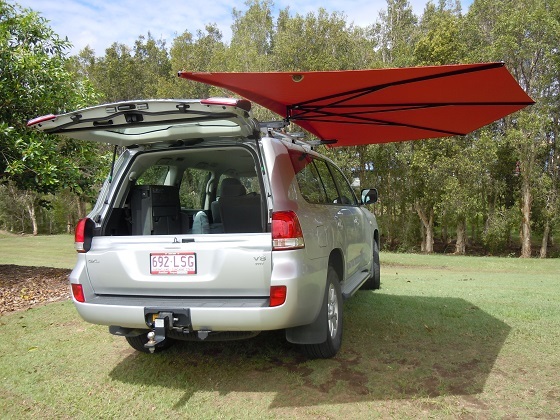 If you think that the CleverShade 180° 3.6m x 1.8m model is for you but you’d like to ask us some questions or show us your roof rack and see how it will go for installation, simply fill in the form below (feel free to upload a photograph) and we will get back to you with all the relevant information.